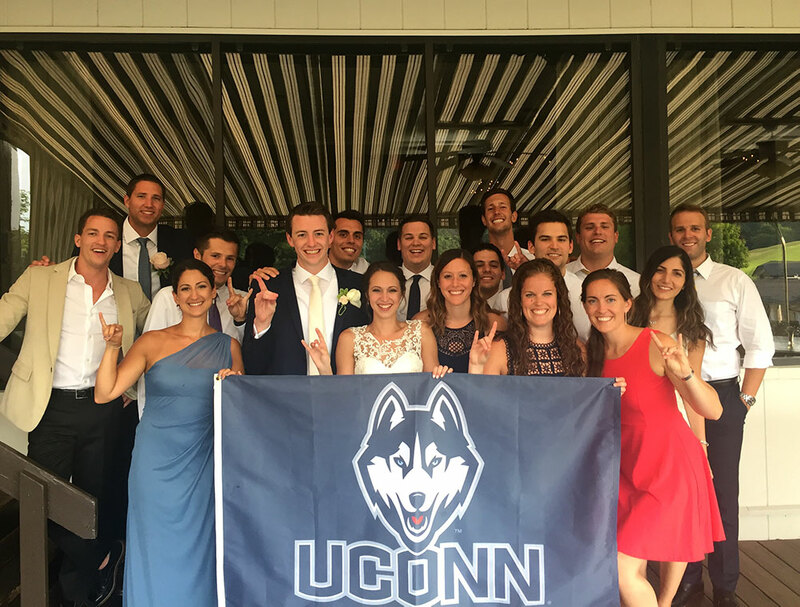 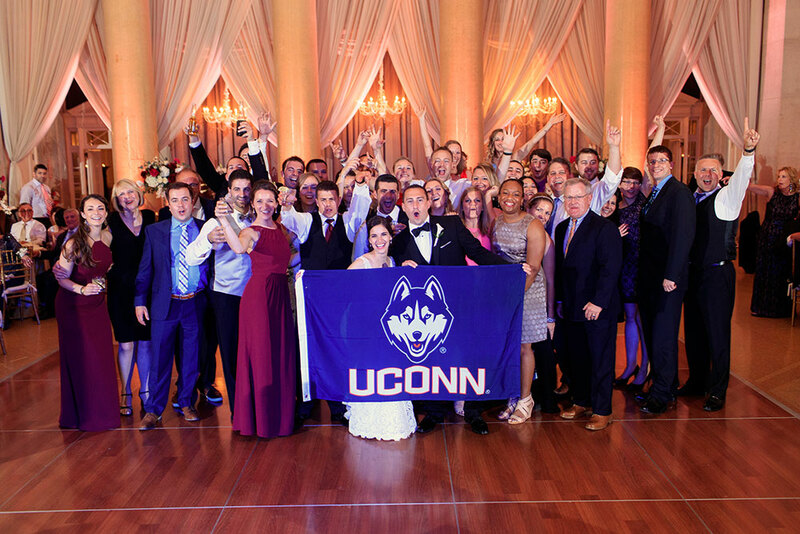 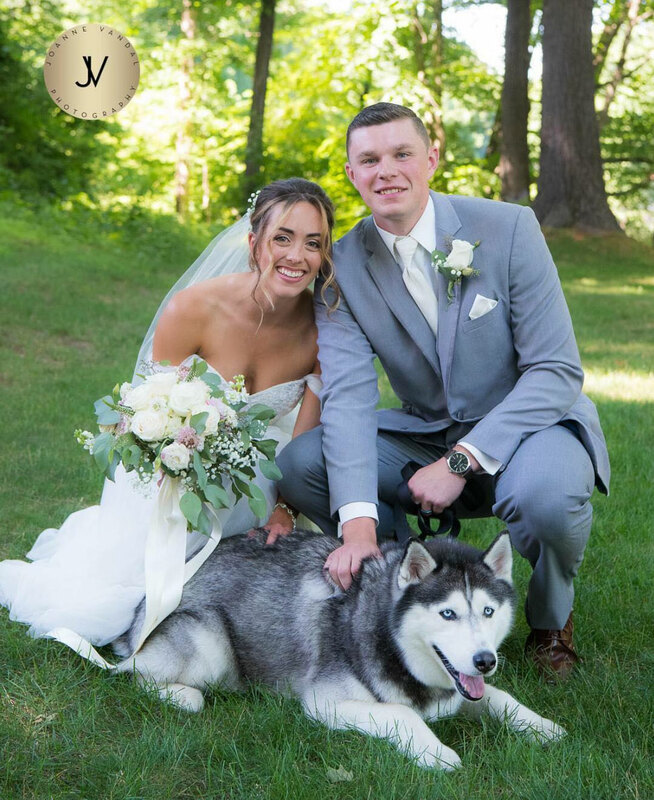 As usual, summer meant weddings and weddings meant Huskies everywhere (even featuring the Husky, aka Jonathan, in a starring role). 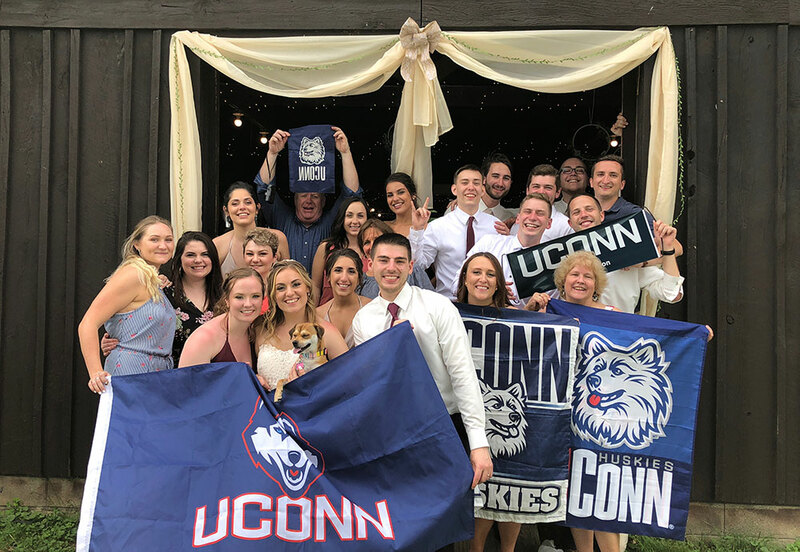 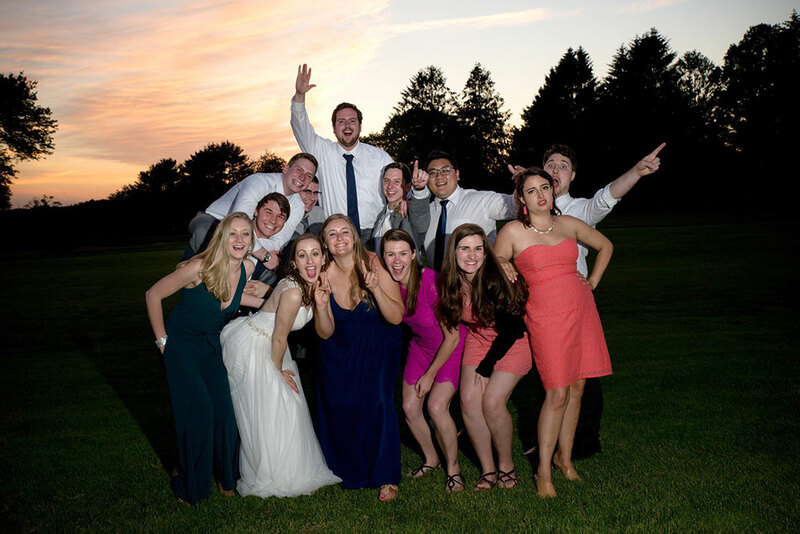 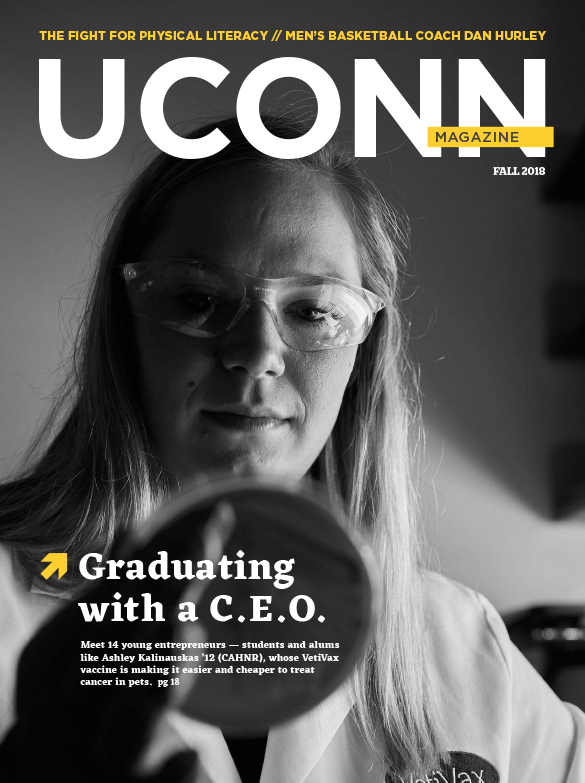 Alicia Affinito ’17 (ENG) and Tom LaFemina ’17 (ENG) with fellow proud alums — and dog. 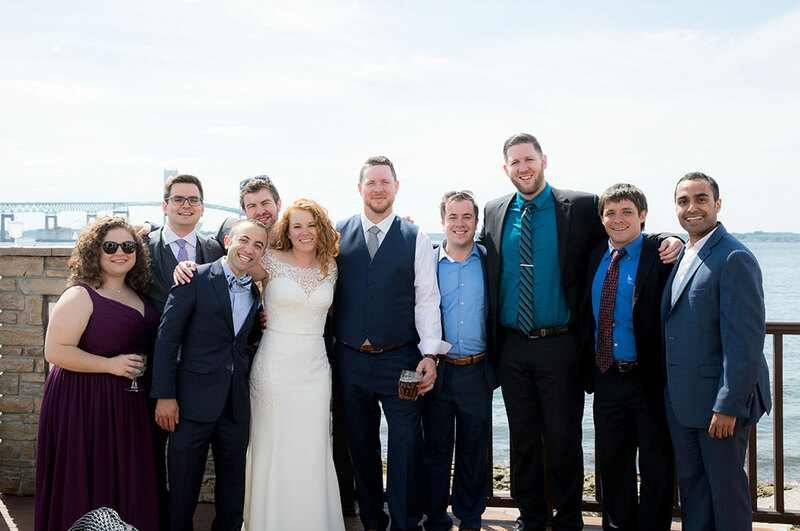 Assistant band director Jessica VonVillas ’12 (SFA), ’16 MM with new husband Josh Dickerson and band alums in Newport, Rhode Island.